> For modern CPUs, it is mainly about the probablilistic results of the a==b and c==d tests. > various speculative values. This is bad for a advanced OoO CPU. 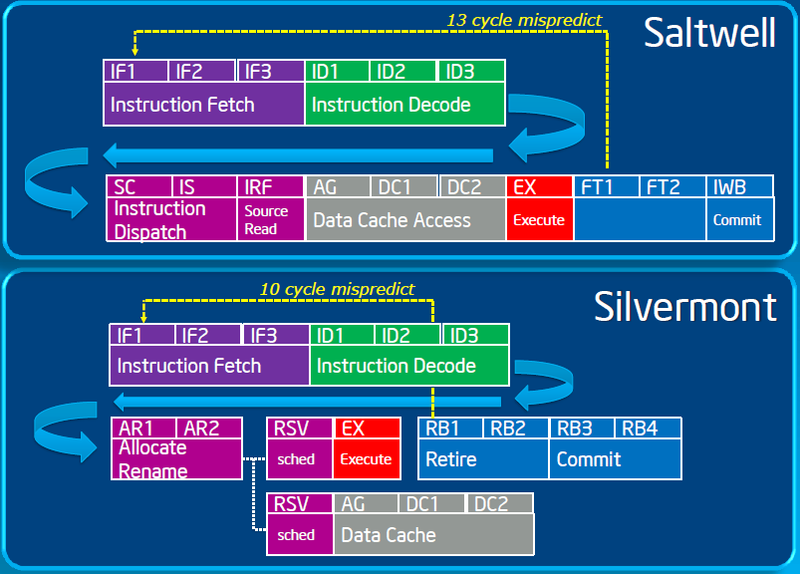 There are separate flags for FP and integer registers on x86 and ARMs. Unlike PowerPCs, 64bits SPARCs use several condition codes (4 sets, IIRC) only for the FP registers. - Non speculative, or with awful branch penalty. - For FP registers or mixed FP/integer operations. FP comparisons are sometimes more difficult to predict than integer ones. Such CPUs disappeared at the beginning of the 21th century. I wonder whether the FP and integer condition codes should be merged in a new architecture targetting high performance CPUs.